In Science Fiction, the stories tell most often about science and technology of the future, or what we envision the future to be. Science Fiction must be at least somewhat related to science for it to be labeled as such. They tend to involve embellished or extrapolated theories of science. 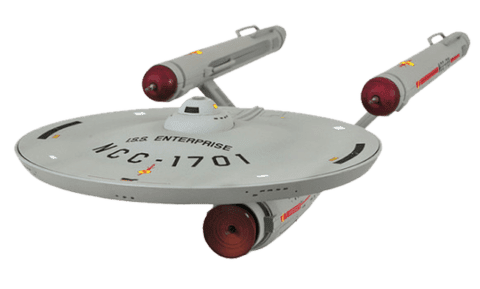 The starships we commonly associate with science fiction, for example, do not actually exist, but are based on existing modes of space flight. Science fiction can go in depth with the specifics of the technology in use, like in The Martian, or just leave it to the audience to assume that the technology had been accomplished by futuristic science, like in Star Trek. Science fiction also includes human element, which shows the effect that the new discoveries and technologies will have on us in the future. Science Fiction by Katie is licensed under a Creative Commons Attribution-ShareAlike 4.0 International License.